EK, the Slovenia-based PC liquid cooling specialist, has launched its own range of pre-built gaming PCs. The new desktop gaming PCs will be called EK Fluid Gaming Systems and be ready to go off the shelf. The gaming-tuned systems will be configurable online and start at US$2099. These systems will only be available in the US, for the time being. As EK says in its press release about EK Fluid Gaming Systems, not everyone has the time or inclination to build their own PC, even if they are interested in the latest PC technology. 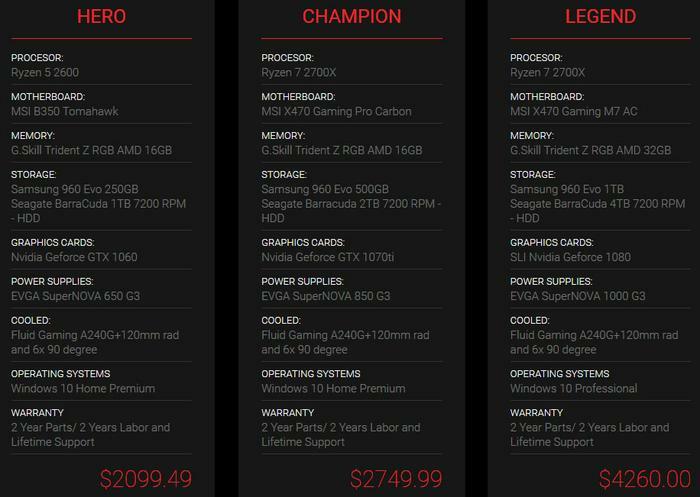 Via an online ordering system you can now configure a Gaming PC with a whole host of component choices, starting from three base configurations dubbed the Hero, Champion, and the Legend. I’ve had a flick through the configure site and while there are quite extensive component choices, including many top selections from the HEXUS reviews back catalogue, there are naturally some limits in choice for practical reasons. First of all, the systems all seem to be built into the InWin 101C chassis. Processors are AMD Ryzen 2000 series only, there is a choice of MSI motherboards, G.Skill memory, Samsung flash storage / Seagate Barracuda HDDs, Nvidia GTX 10 GPU (and SLI options), EVGA power supplies, and of course a wide choice of cooler fittings, coolants and tubing, plus Windows 10 Home or Pro. 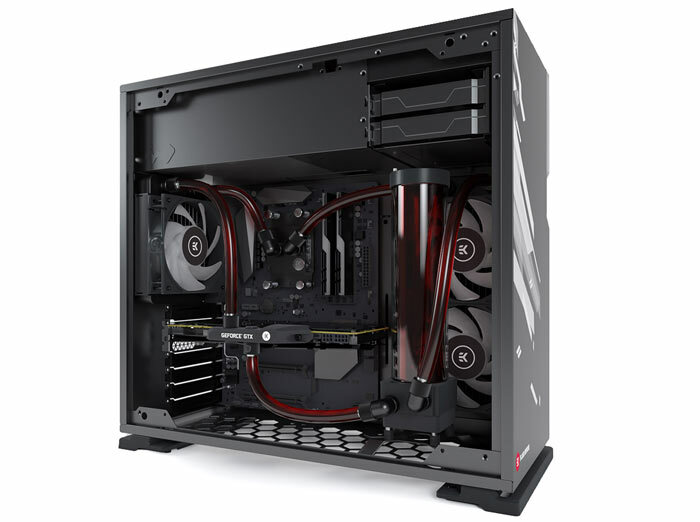 In its press release EK talks up the possibilities open to those employing liquid cooling. The two main arguments for it concern running a quiet and efficient system, and the possibilities it allows for overclocking – making your PC faster than standard. Users might also like the look of the LCS, with EK’s choice of coolant colour and connector part finishes. As noted above, this is a US venture only for now, with EK Fluid Gaming PCs “assembled in the US by a professional PC builder who oversees the build process from start to end”. As part of the build - the key components and the whole system is stress tested before being securely wrapped, packed and despatched. Buyers receive a two year parts and labour warranty and lifetime support. EK promises to add new case, hardware and cooling options in the near future and asks those interested to keep an eye open for updates. Beautiful PC, but there must be some mistake with the price tag. 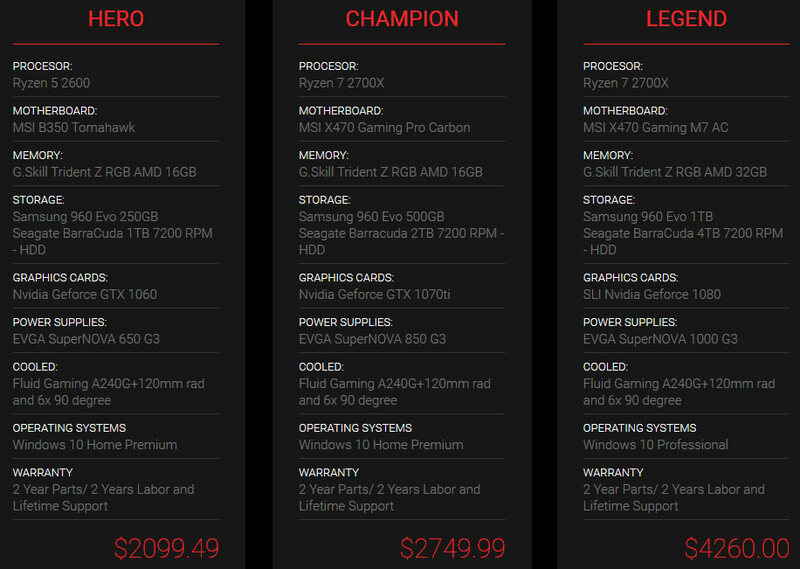 Regarding the components, I wonder why they chosen the 1070ti for the 2,7$ price tag. The 1080 SLI seems to be a weird choice as well. The power consumption seems to be slightly overshoot, but people likes that so i guess it was design decision.